Our state-of-the-art and secure Showroom is unlike any other in Central California. From the second you walk through the doors, you are treated like family. 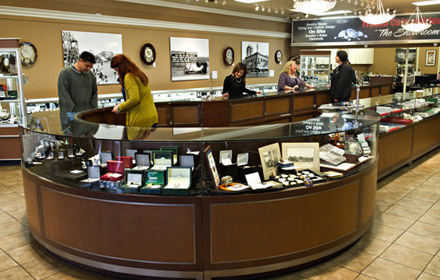 Whether you have questions about coin collecting or are looking for a Louis Vuitton handbag or to purchase from our exquisite jewelry collection, our friendly and knowledgeable staff is ready to serve your needs.